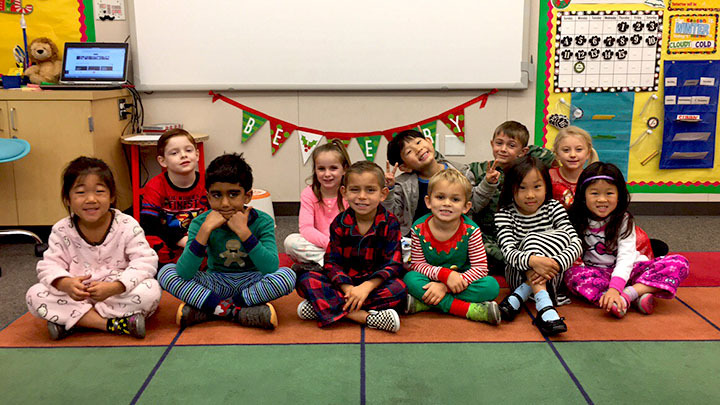 Kindergarten students at Lakeview Elementary School got into the holiday spirit with a pajama day on Thursday, Dec. 15. 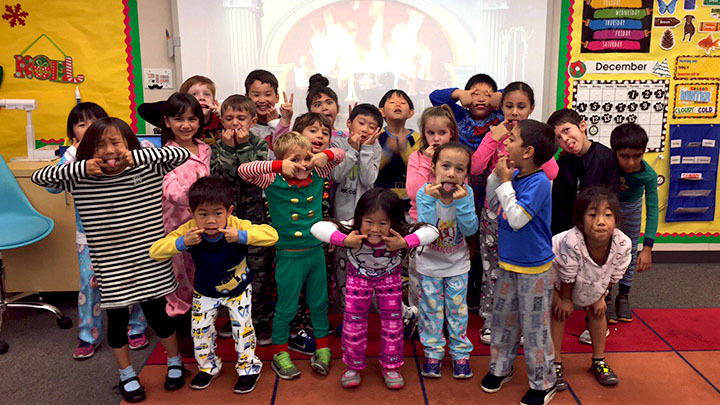 Students embraced the cold weather by wearing their favorite cozy pajamas, drinking hot chocolate and eating popcorn. 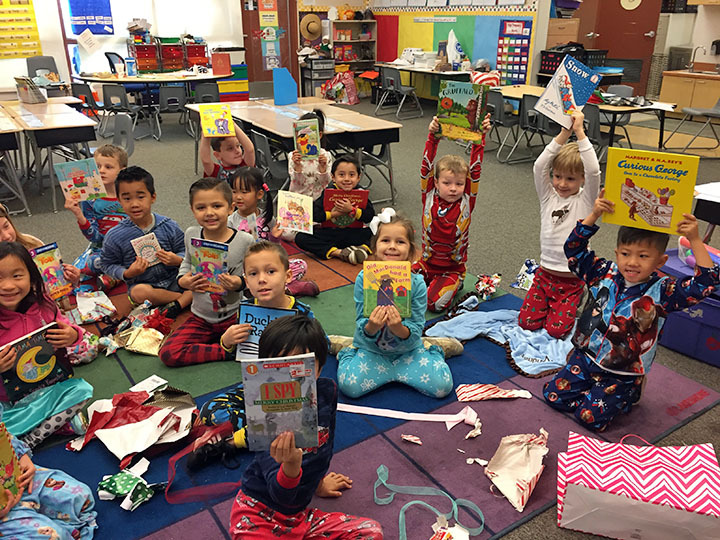 They also demonstrated the reason for the season – giving – with a book exchange! 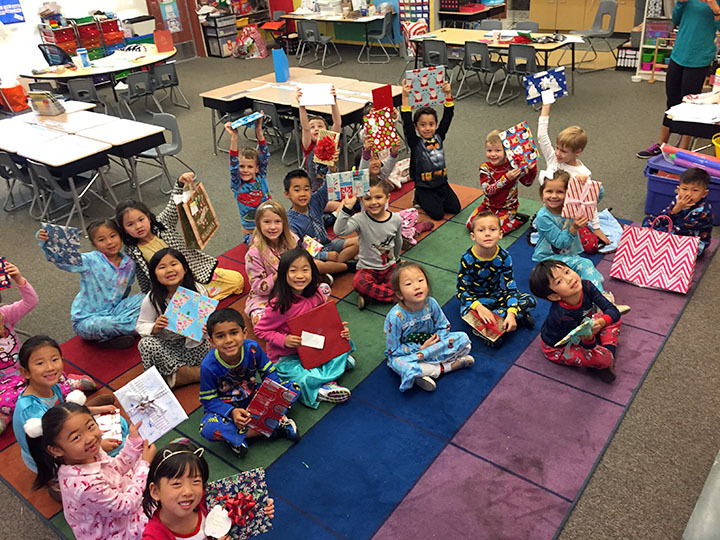 Be the first to comment on "Pajama day in Lakeview kindergarten classes"